We had to break the bank a little by going to Auschwitz and the Salt Mine, but we knew that we would regret it if we had gone to Poland and not been to it’s two most visited spots. 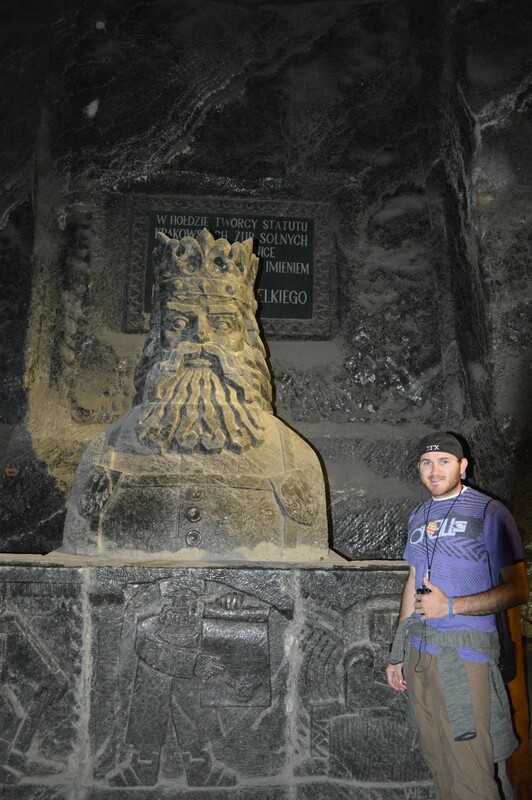 The Wieliczka Salt Mine is on the UNESCO world heritage list, and even though we don’t plan to hit up all the places on the list we were stoked about getting to this one. 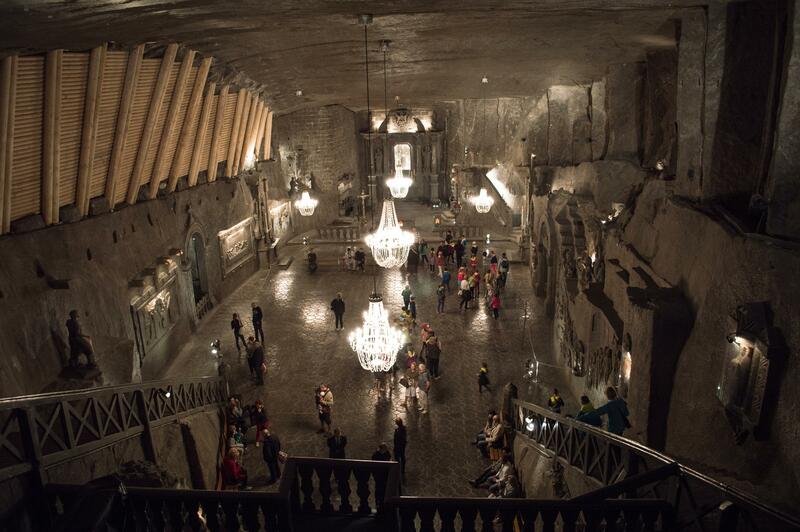 The mine contains statues, staircases, murals, chandeliers- all carved out of salt. There are also lakes and chapels inside the mine that are amazing! The mine originally was used of course for producing salt and selling it, but when the worth of the salt dropped the mine was turned into a museum. This was a big money changer since about 1.2 million people visit the mine every year. 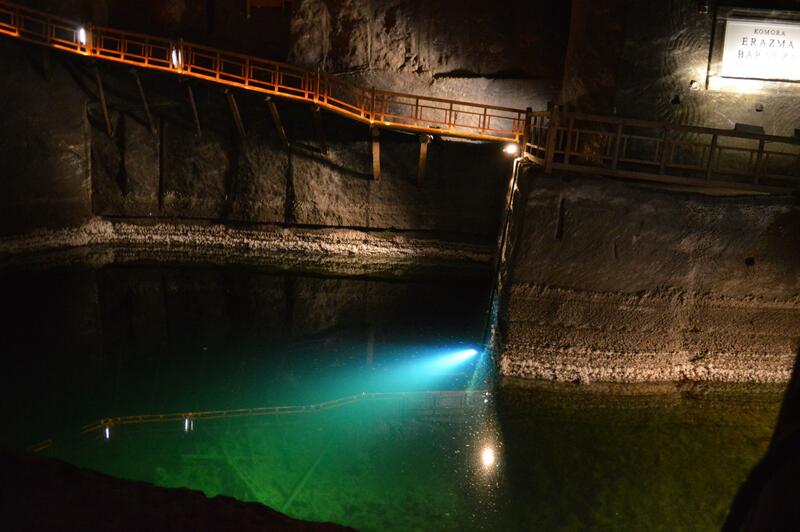 The mine dates back to a time when kings ruled Poland and there is a bit of history left down there. The chapels were our favorite part, so incredible! I can’t believe how much was done with the small amount of technology that people had in the medieval days. Granted, it’s been fixed over the years from cave ins and flooding, but not everything survived over the years. Our tour guide actually encouraged us to lick the salt from the walls, ceilings and even the floor of the mine, at our own risk of course. Millions of tourists had been in the mine before us and had made their mark by licking off the salt as well. There was running salt water that we were encouraged to try too, which we did, and it was awful. One of the visitors took an overflowing handful of the water and was coughing and choking for the rest of the tour. If you wish to go to the Salt Mine on your visit to Poland I recommend searching around for deals that include transportation first in case they have better offers. What we ended up doing was paying 5pln (~$1.32) each for public transportation that dropped us off just a few minutes walk from the entrance and paid for tickets there. The tickets online are the same if you buy them at the mine, but if you want to buy them beforehand you’ll find them here. 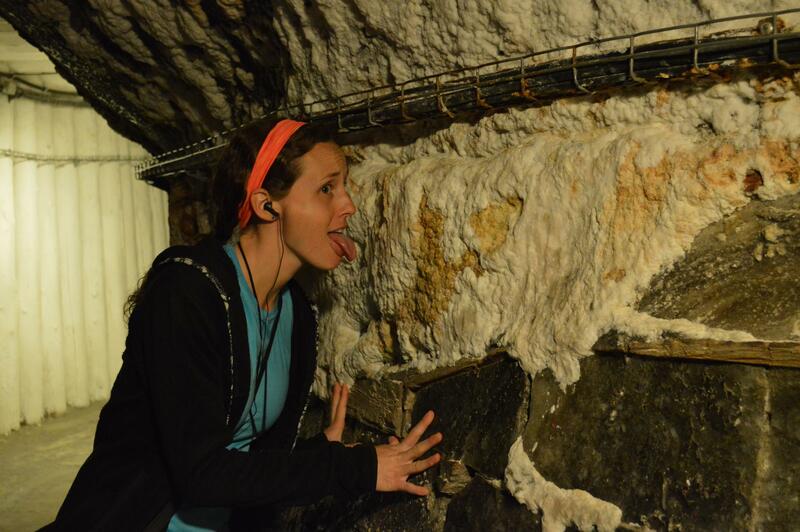 Would you lick the salt covered walls of the Wieliczka mine? No, I would not lick the salt, thank you. Well…did it taste different then any salt you have had before? The water tasted like the ocean and the wall salt tasted like regular salt so no I guess. It would have been nice if I had been allowed to bring food to sample my salt with :).